DeltaWing: Is This The Future Shape of Family Sedans? The radical DeltaWing race car created quite a buzz when it made its debut a few years back, and this equally radical 4-passenger car concept is likely to stir things up even more. DeltaWing said company executives have been meeting with auto manufacturers to discuss ways to use some of its concepts in a production vehicle. 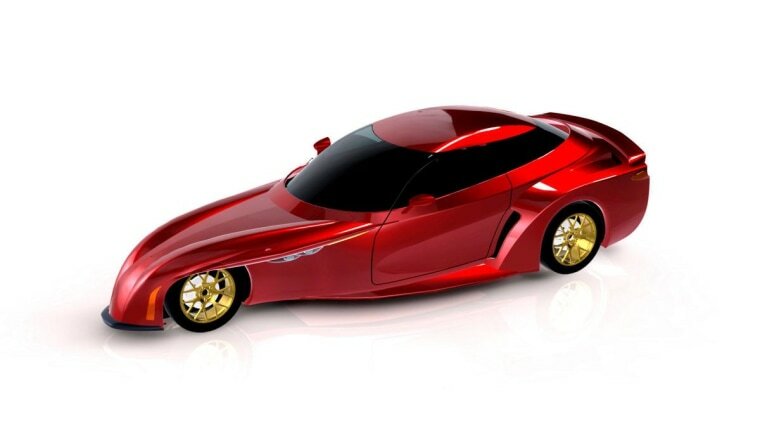 Developed by the Georgia-based DeltaWing Technologies, the prototype features a narrow, windswept nose and ultra-light construction to significantly improve fuel economy without sacrificing performance. Whether potential buyers take to the unusual design remains to be seen, but aerodynamics and “lightweighting” have become critical to the industry’s efforts to meet the tough 54.5 mpg federal fuel economy standards going into effect in 2025. "Many of the aerodynamic, lightweight and handling benefits of the race car can translate to the street,” said DeltaWing Chairman Don Panoz. “We are competing at the highest levels of road racing with half the weight, half the horsepower, and nearly half of the fuel consumption." Designed by Ben Bowlby and unleashed during the 2011 endurance race in Le Mans, the DeltaWing race car challenged traditional thinking with its unusual, dart-like design. Initially run in a short-lived partnership with Nissan, the race car was able to run on a much smaller engine than its typical competitor, largely due to the design’s reduced aerodynamic drag. The basic shape carries over to the sedan prototype which features smaller front wheels than those in back, while also opting for a rear-engine powertrain layout that shifts the center of gravity significantly to the back to lower weight on those downsized tires while also minimizing rolling resistance. The firm claims the design could be used to meet the 2025 Corporate Average Fuel Economy, or CAFE standard, something many in the industry have questioned, without the need to significantly downsize the current U.S. automotive fleet.